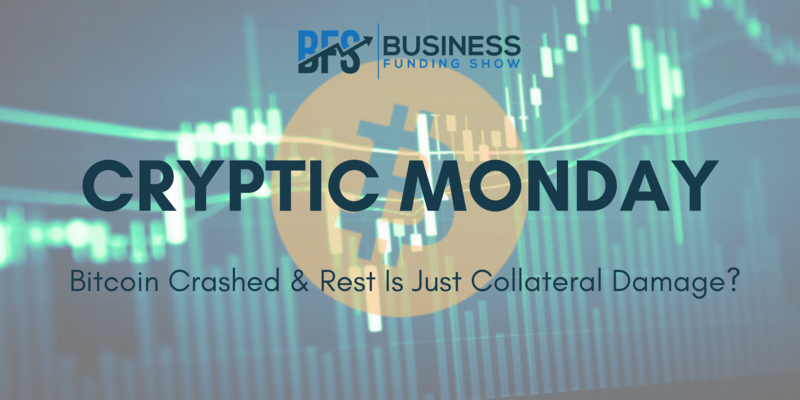 Bitcoin Crashed And Rest Is Just Collateral Damage? After plunging to its lowest of $3,474, Bitcoin is still nursing its wounds. It’s persistent volatility and threats of regulation amid numerous hacks on currency exchanges has costed bitcoin holders millions in lost coins reports Sebastian Mccarthy of City A.M. This also led Chinese billionaire Jack Ma to state that despite his belief that “blockchain technology could change our world more than people imagine”, “bitcoin however could be a bubble”. Well that is no good news for any bitcoin enthusiasts out there, is it? Bitcoin is not just affecting your future investment decisions into the blockchain world but it is also causing severe unemployment. Matthew Field of Telegraph reports that Cryptocurrency startups have been laying off large swathes of their workforces a hits young and inexperienced businesses. Moreover, following the decline of Bitcoin, other digital coins which have been used as funding tools for cryptocurrency startups, have also suffered similar declines. Matthew gives example of Steemit, a blogging website funded by Steem, a digital coin that has announced its plan to lay off 70 percent of its team after their digital coin fell 96 percent from all time high in January. Alongside Coinfloor, a UK-based cryptocurrency exchange, and Kraken, a US exchange, who said to have laid off a number of staff in the second half of the year. And of course, a crash this bad and consistent comes with the increased pressure on regulators to increase their their oversight of cryptocurrencies. Federica Cocco of Financial Times reports that the Central banks and securities watchdogs around the world have been contemplating how to rein in the industry, where billions of dollars worth of digital currencies are traded daily without official oversight. Federica highlights important quotes from Christopher Woolard, executive director of the UK’s Financial Conduct Authority’s recent speech where he stated that the regulators were “concerned about the potential harm posed by current usage of these often poorly understood crypto assets” and “it’s clear strong and speedy action is necessary”. On a positive note, Hong Kong’s SFC stated that it could soon allow some cryptocurrency exchanges to apply for licences - which would be a major step and bring some aspects of virtual asset trading under its jurisdiction. However, exchanges that trade bitcoin and other non-securities virtual assets are not included in the SFC’s proposal. Hoi Tak Leung, counsel at Ashurst in Hong Kong quotes that “SFC is improving its engagement with digital assets — but there’s a fair few aspects in the framework that may discourage exchanges from applying for SFC supervision without further discussions,” highlights Federica. Furthermore, the crash leading to lose of trust for Bitcoin, unemployment and need for greater and stricter regulation is not the only spice going on in the crypto world. Emily Nicole for City A.M. reported that world’s largest cryptocurrency mining hardware maker Bitmain was hit with $5M class action lawsuit over claims of unauthorised mining. Emily records that Bitmain is allegedly accused for using power from its customers during the initial set-up of its ASIC mining device to mine currencies without their knowledge or permission and over 100 people have signed up for this lawsuit.